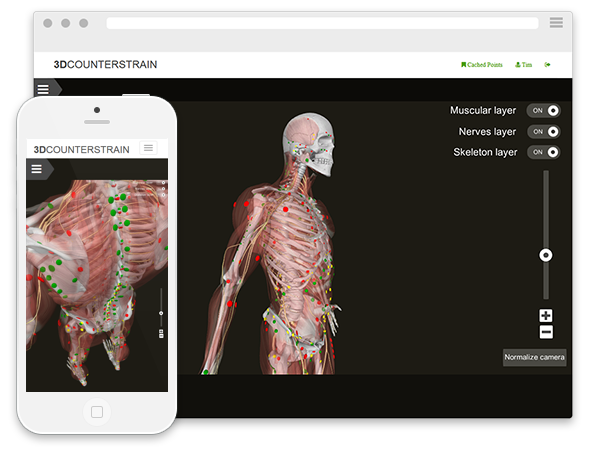 Interactive 3d model with Fascial Counterstrain Tender Points and in-depth treatment annotation by the creators of the technique. NEW! Now available on both iOS and Android devices! An interactive 3d model that works beautifully on desktop and mobile devices using the unity rendering engine. Log in and use it for study, reference, teaching, or presentations wherever you need it. The muscular, nervous, and skeletal systems in hi-resolution 3d overlaid with annotated points that can be zoomed in on, filtered, and saved for future reference. Put together by Brian Tuckey, PT, OCS, JSCCI and Timothy Hodges, LMT, JSCCI – this is a serious teaching and reference tool with hundreds of tender point locations mapped and annotated with ongoing updates and additions. 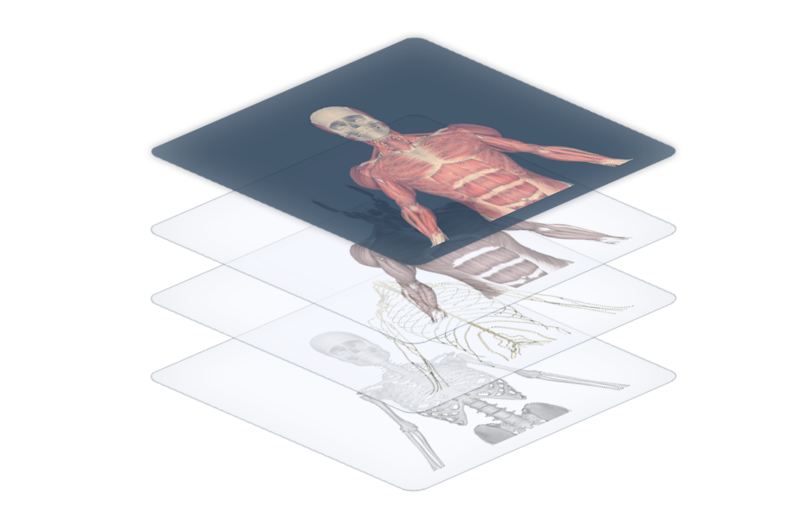 Vector based 3D model renders in exquisite detail at 4K resolutions on your desktop, and fills the native display of your iOS or Android device with a beautiful rendering of skeletal anatomy, a complete muscular layer and the entire nervous system. All layers can be toggled on and off with a simple click. The soft tissue layer has an integrated transparency setting that allows end users to see points in the superficial soft tissue layer and the tender points of the deeper skeletal layer. All currently taught systems are available individually and can be “stacked” simultaneously on the model. This establishes a significant level of clarity in defining the relationship between tender points in the many crowded regions such as the ribcage pelvis and cranium. Watch Tim Hodges explain system requirements, how to register, download the app and get started using 3D Counterstrain. New! Fascial Counterstrain Chains for advanced practitioners! Join the growing community of Fascial Counterstrainers today! Fascial Counterstrain Chains for advanced practitioners!